Bishop Dorsey McConnell has named the Rev. Aidan Smith to be provost of Trinity Cathedral. 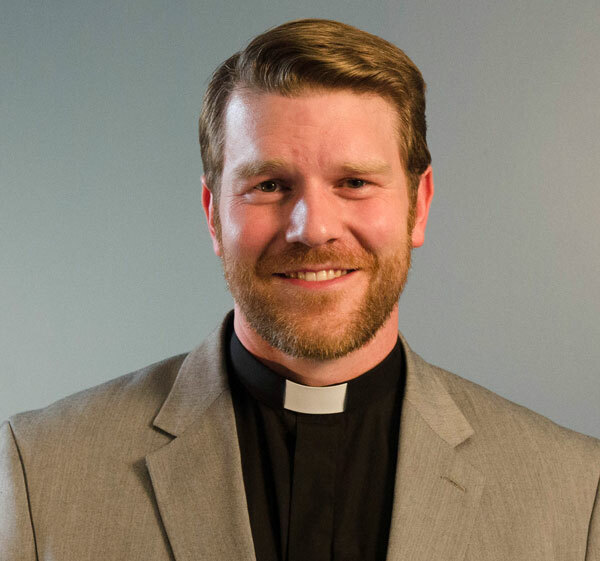 Aidan is currently Dean of Advancement and Church Relations at Trinity School for Ministry in Ambridge and the assisting priest at All Saints, Brighton Heights. Click here for a letter from Bishop McConnell to the members of Trinity Cathedral. “I know that Aidan and his TSM colleagues are proud of how under his watch enrollment grew, new relationships were forged, and the school’s financial health improved. I’m overjoyed that he will be bringing this skill set, along with his caring pastoral approach, to Trinity Cathedral,” said Bishop McConnell. The appointment was made in consultation with the Cathedral Chapter, which unanimously affirmed the bishop’s selection. Aidan will become provost on May 1 for an initial term of two years. Aidan says that he is “totally on board” with Bishop McConnell’s vision of the cathedral as a place proclaiming the Gospel through the arts, education, and social empowerment. “I also know that the cathedral has experienced difficult times, but you can’t experience resurrection without the cross.” He said that he’s hopeful about this revitalization and looks forward to enhancing the cathedral’s role in the life of the diocese.